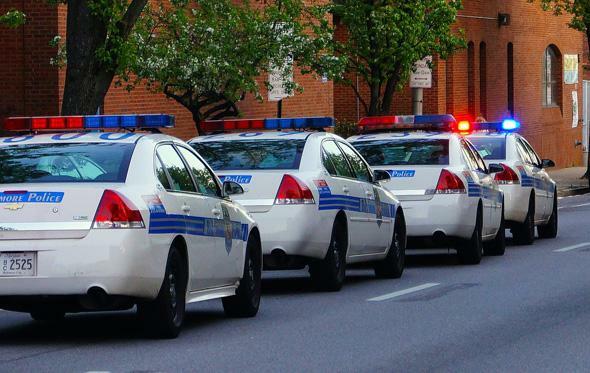 Baltimore Police may have used a stingray to collect cell phone data, but no one will say. In a Baltimore Circuit Court robbery trial during a motion to suppress evidence, a city police detective refused to tell a defense attorney how police had tracked the defendant. Rather than compel the detective to reveal police methods, prosecutors withdrew the crucial evidence to maintain the secret. The situation echoes a broader national discussion about surveillance technologies—like stingrays—that local police use but claim they can’t discuss because of federal restrictions. The Sun notes that the Baltimore Police Department purchased a stingray for $133,000 in 2009. In the robbery case, in which 16-year-old Shemar Taylor is being tried as an adult for robbing a pizza delivery driver at gunpoint, detectives say that they did a “ride-by” of Taylor’s home while using unspecified technical equipment to identify cellphones in the house. But detectives also maintain that they get tracking data from cellphone carriers, in spite of admitting that they have independent ways to verify a cellphone’s location. Defense attorney Joshua Insley strongly suspects that Baltimore police can’t talk about their methods for tracking Taylor because they used a stingray. Meanwhile, Baltimore prosecutors say they will proceed with the charges, even though suppressing the cellphone evidence also removes a .45-caliber handgun from consideration. Wow. You can’t just stop someone and not give me a reason. Between the Patriot Act and NSA surveillance revelations, real talk like this is a helpful (and apparently necessary) way to review citizens’ rights.